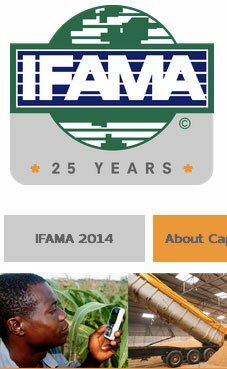 The 2014 IFAMA and CCA Food and Agribusiness World Forum is a global event set on the stage of Africa. More than 500 attendees from 30+ countries will participate in interactive workshops, demonstrations of cutting edge technology and facilitated discussions by world-renowned speakers addressing today’s most relevant topics in agribusiness. For more information visit www.ifama2014.com.